With the days getting shorter and the weather cooling, the transition into autumn can be a bit taxing on our bodies and skin. Once November arrives, we are definitely in need of some cruelty-free products to infuse our bodies with moisture. Luckily, Leaping Bunny Program Manager, Kim Paschen, shares some of her latest oil-based faves below. Also, included in the October e-newsletter is a list of our most recently certified companies and the Company Spotlight Interview with Ranavat Botanics. 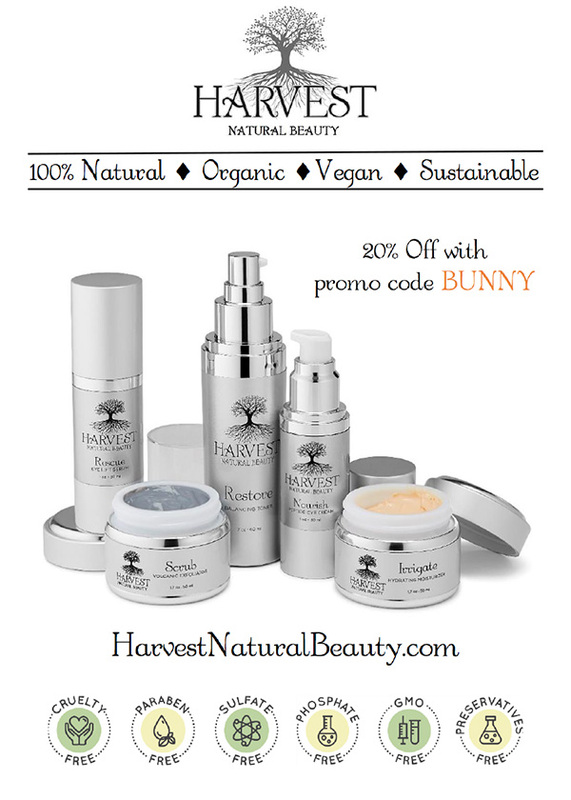 Be sure to read through to the end to catch some amazing deals with Harvest Natural Beauty, Nazelie, Ranavat Botanics, and Simkha. 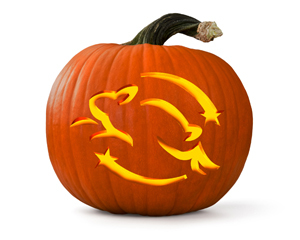 And, on another note, keep an eye out for black kitties on the street and make sure yours are safe inside during Halloween. Oil. It’s usually something we try to get rid of, whether it’s in our hair, on our skin, or on our face. So, it came as a bit of a surprise to me to actually try products whose main ingredient was oil of some kind. The results were pretty surprising. Read on! Of all the places I am most reticent to put oil on, my face is at the top of the list. Decades of fighting oil made the use of this product seem counterintuitive. However, I love it. This cleanser gently removes residue without stripping my skin of its natural, and beneficial, oils. The proof is on the cotton pad. I follow this up with a spritz of their toner, made from raw apple cider vinegar and witch hazel, and a few drops of their Myrrhaculous Face Oil, a nutrient dense anti-aging serum. Result: my skin feels like a million bucks. Shaving is one of those necessary evils of skincare. Luckily, this multipurpose oil from Teadora helps make it a smoother experience. 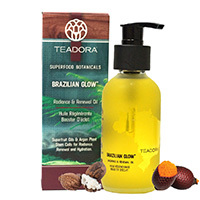 It’s loaded with Amazon rainforest superfruits, Argan plant stem cells, and tons of vitamins. The result is silky skin that is already moisturized in the shower! And, as a bonus, this oil can also be used as a makeup remover, a nail strengthener, and an anti-aging serum. With an oily scalp, the last thing I’d normally do is put oil IN my hair. And then let it sit. Overnight. 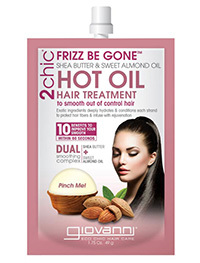 But, that’s exactly what I did with Giovanni’s latest hot oil hair treatment. The application was easy and there is more than enough in the packet for two applications to medium length hair. To keep things tidy, I kept my hair in a wrap overnight while the oil worked its magic. I did have to shampoo my hair twice to make sure I removed all the oil, but the result was smoother, shinier hair that felt much healthier. We are so excited to share our most recently certified brands for the month of October. All of these companies have made the commitment to creating cruelty-free products, from start to finish, and we are so grateful for their efforts. Please be sure to show them lots of love by clicking on their links below and following them on social media. Beautiful, beneficial skincare made with natural ingredients and a little bit of glam factor. Anti-aging skin care formulated for individuals of all ages. Organic, vegan, fair-trade skin care made by hand in small batches. Skin care company dedicated to providing real results and packed with all natural, certified organic ingredients. Aromatherapy blended with organic essential oils that promote integrity, balance, and healing. Handcrafted skin care products for your inner goddess. 100% organic and vegan eyelash growth serum. Vegan, toxin-free skin care formulated to handle every climate. Natural and organic intimate skin care products formulated to clean, restore, moisturize, and balance a woman’s most sensitive areas. Vegan cosmetic company started by a 15-year-old with the belief that make-up is art. Bi-monthly subscription box filled with handmade beauty products created with meticulously sourced ingredients. Handmade beach-inspired bath bombs, soaps, body scrubs, and bath salts. 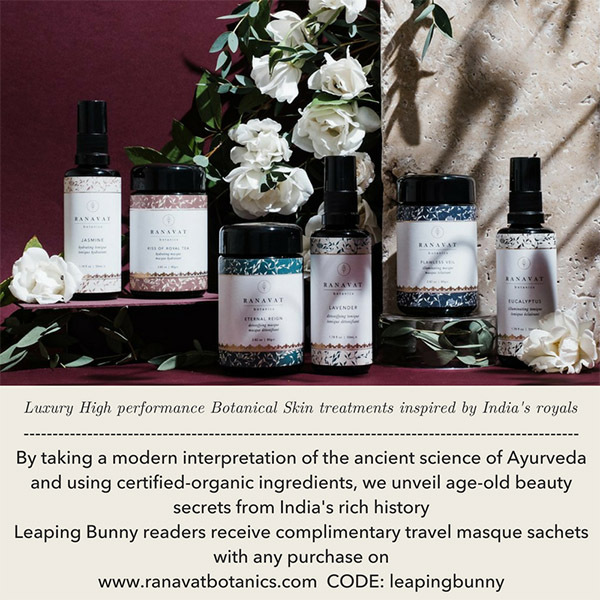 Ranavat Botanics is a new Leaping Bunny certified company that makes luxurious ayurvedic skincare inspired by Indian royalty. 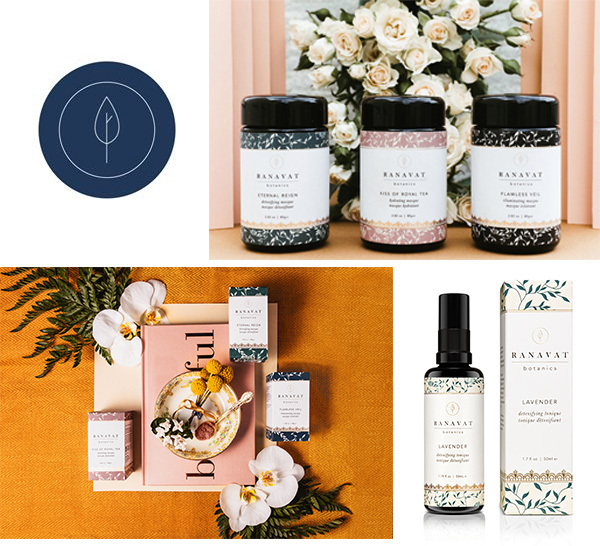 The Leaping Bunny team was lucky enough to meet Ranavat at Indie Beauty Expo NYC this past August and fell in love with their gorgeous packaging and simple, yet effective, ingredient list. Read our interview with founder, Michelle Ranavat, below to learn more about this amazing company, her inspiration, favorite products, and why being Leaping Bunny certified is important to the company. What was the inspiration behind the creation of Ranavat Botanics? Ayurveda (an Indian medicinal science) has always been a part of my family’s traditions and a big part of Indian culture. I didn’t think much of it, until I spent the last 7 years working at my dad’s company where we sourced amino acids and peptides from around the world. We would travel to the factories and really understand where and how the products were made. Meanwhile, I always had a passion for taking care of my skin. I started mixing my own masks realizing that many of the ingredients I loved; sandalwood powder, gotu kola, and manjistha, were not found at local stores. They were so effective and pure, that I had to apply my dad’s philosophy and skills to bring Ranavat Botanics to life. Many of core pillars from my dad—honesty, ingredient quality, and integrity—are the foundation of Ranavat Botanics. What is Ranavat Botanics’ mission? Our mission is to completely change the way you think about skin. While we know going to the gym and eating pure whole foods is good for us, we tend to neglect that same philosophy when it comes to our skin. Our skin is a true reflection of our health and who we are and it will be with us forever. It is so important that we nurture our skin and take care of it properly. To do this, all of the same rules apply: pure and real is always better than synthetic. What is your favorite Ranavat Botanics product and why? Ranavat Botanics was created to listen to our skin. It’s always changing and adapting to the environment we are in. Our skin can be oily in the summer, dry in the winter and change even at different times in the day. I truly believe the Ranavat Line is best enjoyed in its entirety, where you use different masque combinations to target your skin and what it needs at the time of treatment. Ranavat aims to be a lifestyle that is inspired by the beauty rituals of Indian Royalty. We admire the fact that the Royals prioritized self-care and used the best and most fresh ingredients to pamper themselves. They were on a search to live eternally and they knew that using real, fresh botanicals would help them live healthier and longer lives. Because we don’t have the time and resources of the Royals, we create treatments that are luxurious, yet effective and most importantly give you a means to take care of your skin in the best possible way. What has been the most rewarding part of creating Ranavat Botanics? Ranavat has created so many amazing moments between me and my family. My dad and I took a whirlwind trip to India when Ranavat was just a dream. He believed in me and we went around the country traveling to farms learning about this amazing science. My mom, sisters, and husband have all also been extremely supportive. It has created yet another bond between us all. Another very rewarding experience has been the feedback from the Royal Beauty community. I love hearing how much they love the treatments and how they are creating a consistent self-care ritual for themselves. Why is being Leaping Bunny certified important to Ranavat Botanics? The Royal Beauty community believes in taking care of ourselves as well as others. 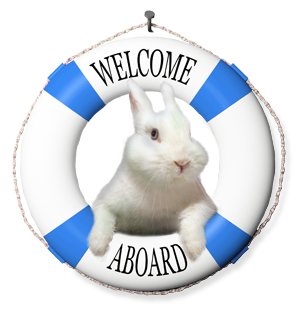 We truly believe in the ethical treatment of animals and wanted to cement our position with the most recognizable and reputable cruelty-free organization in the world. Your packaging is gorgeous! Is there a story or specific influence behind the design? Thank you! I wanted the packaging to reflect my Indian heritage as well as my upbringing in the United States. Just like our treatments, we have ancient roots, yet there is a modern approach to the formulations that make them luxurious and not so medicinal. What is something unique about Ranavat Botanics that others may not know? I would say the most unique aspect is the mix and match component to the masques and toniques. I created the line so that the botanicals that had certain beautifying properties were grouped together, so I love taking a hydrating powder and mixing it with an illuminating tonique to create really unique combinations! See ad below for free samples with purchase.